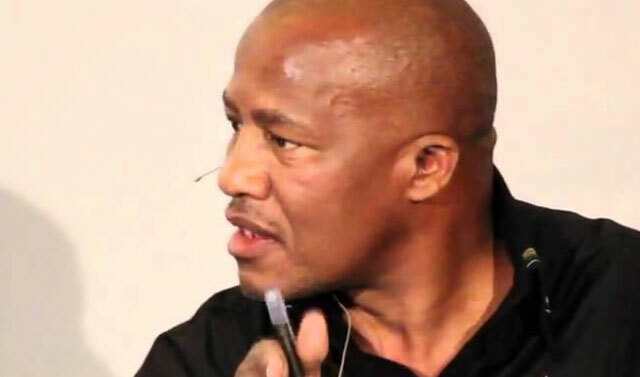 ANC chief whip Jackson Mthembu has said that the walkout staged by an SABC delegation during a parliamentary inquiry into its board was “disgusting”. Parliament’s ad hoc committee looking into the fitness of the SABC board met for its first hearings on Wednesday. The board’s last remaining member, Obert Maguvhe, on Tuesday launched a last-minute appeal against the Western Cape high court’s decision to dismiss his request for an interdict. On Wednesday, he complained to the committee on its first day that the three documents they would be scrutinising were not in braille. He is partially blind. Committee chairman Vincent Smith informed the SABC delegation that its secretary, Theresa Geldenhuys, had requested the said documents in Word format on 18 November in order to transcribe it to Braille. He, therefore, denied Maguvhe’s request. Earlier, the committee resolved to continue its work, despite the high court appeal, as there was no court order to stop. The SABC delegation, including acting CEO James Aguma and Hlaudi Motsoeneng, then walked out. Mthembu said in a statement on Wednesday that the SABC’s “stunt” was yet “another stalling tactic” aimed against the ad hoc committee’s work. “The office of the ANC chief whip is gravely dismayed and shocked by the disrespectful and contemptuous conduct of SABC representatives today. He said the walkout, as well as a refusal to provide parliament with documents, was designed to disrupt its work and show contempt for its constitutional powers. The Powers, Privileges and Immunities Act stated that a person may not, “while parliament or a house or committee is meeting, create or take part in any disturbance within the precincts”, he said. The act also prescribed a fine or imprisonment for a period not exceeding 12 months against any witness before a committee of parliament who refused to “produce any document in his or her possession or custody or under his or her control which he or she has been required to produce”. “The utter disrespect that the SABC chairperson and his lackeys continue to demonstrate against parliament, including the very institution they lead, represents a serious attack against these public institutions and the people of South Africa,” he said. The committee continued its work on Wednesday after the walkout. It interviewed representatives from the auditor-general and communications regulator Icasa.